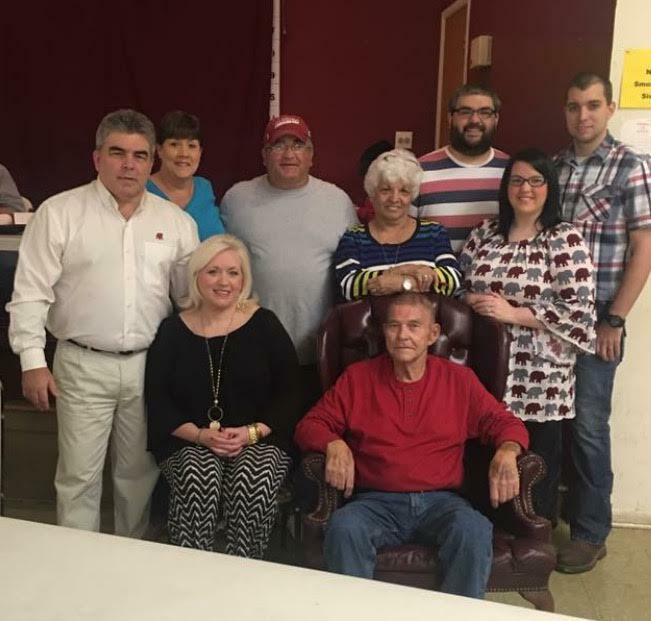 I'd like to start the post off this week by saying how sorry I am for the loss of Jack Pittman, Jordan's grandfather. If you read this, you either know me or know well enough to know how important Jordan is to me. It's weird getting older and realizing that the heroes in your family don't live forever. I'm so fortunate to have 3 living grandparents that care for me. 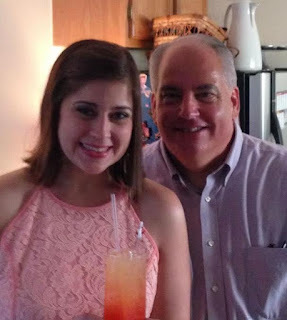 "Papa Jack," as he is called, was a sweet and quiet man. While I didn't know him well, I know how much Jordan loves him and always will. I'd like to send out positive thoughts to the whole Pittman family. You are all incredibly tough people and though I'm not the most religious person, I can't help but hoping that Papa Jack and Angel are somewhere smiling and reminiscing. Jordan's grandfather passed away yesterday and my friend, David Earp, passed away a year ago today. I have not gone one single day without thinking about, or wishing I could talk to David. So many people loved him so even if I was worried I'd start to forget him (which I never could), I see his face in my news feed almost every day because people loved him and post pictures and say how much they miss him. Today, the lack of his presence is sticking out like a sore thumb. Memories flood my time hop every day and I can still hear his voice and still laugh at all the ridiculous Facebook conversations he had with me and other people. I'm not sure why anniversaries are harder than other days. It's hard to believe a whole year has passed. There's not much I can do, I guess. The good news is, the pictures and the memories make me smile. I just wish I had more time with him, as I know so many people do. Cheers to you, David! You were honestly such a bright spot not only in my life but the life of so many! It's difficult to transition from the uplifting topic of death to talk about the mundane, never-ending struggle of food and health but I'm going to try. I have managed to gain three pounds in the past couple weeks which is always fun, especially since I exercise until I can barely move every day and eat things like fat free milk and fiber-rich cereal for breakfast, but you know what, IT'S FINE! I was telling someone the other day that I have decided I don't care if I stay this size at this point. I've settled in for a long winter's nap as far as that goes. What bothers me is how hard I have to work to maintain a weight I'm not even happy with. I'm trying not to let it get me down. I know where I could improve from the past couple weeks. I'm still attempting a balance between insane planning and just throwing caution to the wind. I'd like to lose back that three before I go on Spring Break on March 12th. That is a doable goal. Today, I have more recipes from MLWOW, the book. I'm preparing a pitch for this book and presenting it to an agent at a writers conference on Friday. I have to sell myself in ten minutes. This conference will be a valuable learning experience for me but I'm SO NERVOUS. I've been working on this material for so long and now that it's "done," I have no idea what to do. I know it is going to require a lot of work. I'm taking deep breaths at this point and I know I will figure it all out. 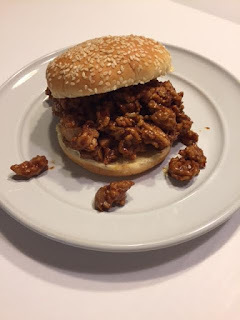 The first recipe I wanted to share is what I call, "Sloppy Chicken Heathers." I don't eat Manwhich, and I'm not a fan of the traditional tomato-based sauce and green peppers. Heat butter spread in a skillet on medium heat. Saute chopped onions for 5-6 minutes. Add garlic. Stir a few minutes. Push onions and garlic to side of the skillet. Add ground chicken after seasoning with salt, pepper and garlic powder. Break up the chicken and let it cook all the way through. Mix chicken, onions and garlic together. Take a paper towel to dab up any grease in the pan. Add barbecue sauce. Mix it all together and you’re done. I prefer the taste of BBQ sauce to the tomato-based sloppy joe sauce and I don’t like peppers so, this is my version. Here's a ground chicken burger that I love! There are tons of ways to prepare it. 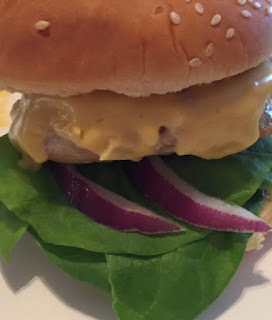 Ground chicken works well for burgers. They don’t hold up as well as beef patties do on the grill so I usually prepare them in a skillet but I have made them a ton of different ways. Mix ingredients in with the ground meat. Heat up a skillet using either non-stick spray or your choice of fat (olive oil, sesame oil and even low fat butter spray work well) on medium heat. Form the meat mixture into patties and when the skillet is hot, heat the patties around 4 minutes on each side. When they are done, add them to your bread and include the fixins. 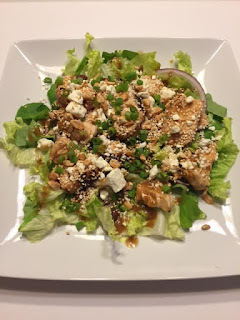 How about an Asian Chicken Salad. It's so easy to throw together and has plenty of flavor. The key to making chicken less boring is adding lots of flavor. It’s important to know that flavor doesn’t necessarily mean fat. Adding a spicy flare to your food makes your mind think that you are getting something more decadent. That’s why I love spicing things up with Asian or Mexican flavors. If you haven’t already, grill or bake the chicken breast. I personally enjoy the grilled flavor that is added to the chicken. Some of these ingredients aren’t traditionally “Asian” but they work well in the salad. Once the chicken is grilled, you are ready to assemble the salad. Toss the chicken in the chili sauce and peanut sauce. Lay it on top of a bed of lettuce. Add the peanuts, dressing, feta, olives, sesame seeds and green onions. For those that like zucchini. My parents bought me a grill when I moved into a house with a backyard. I was so excited because I had been wanting one and since I’ve had it, I use it at least a couple times a week. We love the simplicity of the grill. It moves quickly and grilling things adds fantastic flavor. 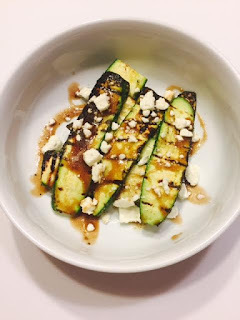 Zucchini holds up really well on the grill and it takes on whatever flavor you want to give it so I enjoy popping it on there because it’s so quick and delicious. Once you cut the zucchini into wedges or spears (I just cut the length of the zucchini), put them in a bowl and toss them with olive oil and spices. At this point, you should already have the grill fired up and ready to go. Take them outside and place them horizontally on the grill so they don’t fall through. They only take 2-3 minutes per side depending on how hot you have the grill and how close they are to the flames. When they are done, pop them on a plate and sprinkle with cheese and dressing. That adds just a little additional touch and flavor. It also makes it look fancy. Hi Everyone! I hope you had a lovely Valentine's Day. Ian and I exchanged cheesy gestures and then ate and drank to celebrate our love and the fact that it was Tuesday. I have been steering away from a rigid schedule the past several days which is liberating but I know I've been eating too much. I'm hoping to find a balance between insane planning that causes anxiety and a flippant attitude that makes me feel like I need a mid-day waffle. I did finally weigh and I was down about 5 pounds since Christmas. I was happy that I had shed the holiday weight and decided that I would weigh again next Wednesday morning. That means I need to get it together and play nice by eating only when I'm hungry and stopping when I'm full. The struggle is real. This semester has been one of the busiest of my life. I seem to have had an influx of meetings, projects and future preparations. I have so much up in the air which stresses me out because I like to mark things off my list. Oh, and apparently I'll be starting a split semester class on March 6th at Shelton so it's only going to get worse. Even though it sounds like it, I'm not complaining. I like having job security and goodness knows I always need extra money. In addition to school work, I'm also working hard on getting this MLWOR book project an ISBN number. It's a dream that I've become obsessed with accomplishing. Writing a book is more than hard...it's a soul-sucking venture whose highs and lows are more extreme than I could have ever imagined. That seems dramatic to say but it also feels right. One of the ways I'm working toward this goal is by attending a writing workshop next Friday the 24th. It's kind of a day for writers who have written a book and are now saying "What now?" That's me! In addition to the workshop, I'm also going to be meeting with an agent and actually pitching the book. She will tell me ways to improve the pitch and hopefully give me some ideas. Because of this, I need to be ready to give them all I've got. I've been making some recipes from the book that you all may have seen before so I can get some decent photos. I'd like to bring a sample that provides a visual for the agent. I'll be sharing them again here and making Pins for them on Pinterest (hopefully). What I'm saying is, I'm sorry for any repeats. That may be something I do the next one or two weeks. I'm nervous about this whole thing but excited because I've been working on this material for a LONG time. The first recipe is for Spicy Deviled Eggs. 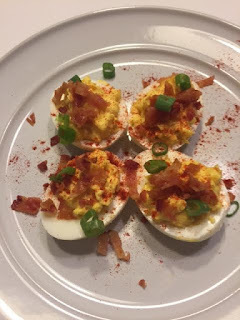 I am a BIG fan of Deviled Eggs and this recipe kicks them up a notch and adds bacon. I am incredibly lazy and usually by hard boiled eggs from the store or my mom makes them. I realized I had never made them myself. 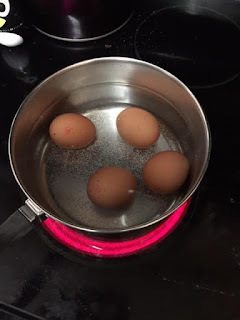 So, I decided to boil some eggs and it won't surprise you to know it was really easy. Hard boil your eggs, cut them in half, dump the yolks in a bowl and mash them up. Add salt, pepper and garlic powder. Mix in the mayo, mustard and hot sauce. Use the mixture to fill up the egg white halves. Top with crumbled bacon and green onions. It’s so easy! Regular deviled eggs are delicious but having them this way makes for a nice change to kick things up a bit. Next up are the diet soda cakes. I have a lot of these that I make. I started with chocolate and then made creamsicle. Pre-heat the oven based on the instructions on the back of the cake mix box. Empty the box of cake mix into a mixing bowl, add soda. Mix. 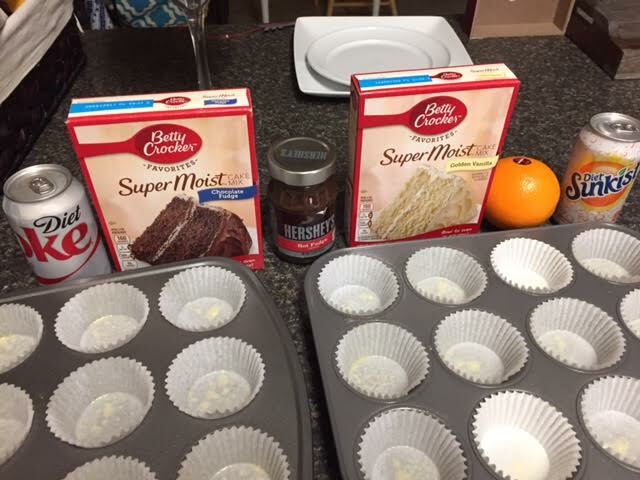 Pour the mixture evenly into a 12-cupcake cupcake pan that is lined with liners and sprayed with non-stick spray. Bake the recommended amount of time on the box. 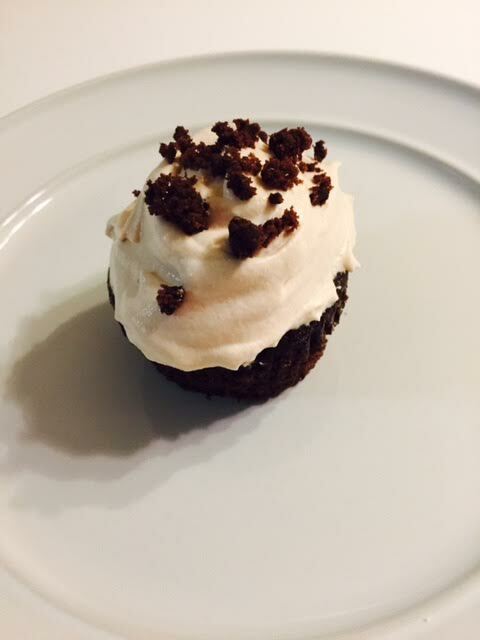 While the cupcakes are baking, get out another bowl and mix together the chocolate fudge with the whipped cream. Cover and refrigerate. When the cupcakes are done, let them cool completely if you want them to have the frosting. Pro tip: Only frost the cupcakes you want at that moment. If you frost all of them and refrigerate, the top gets a bit gummy. Frost them as you eat them. *Suggestion: If you are wanting to kick it up a notch, adding a frozen, miniature peanut butter cup to the middle of the batter before baking makes it even more decadent and still less calories than a full-fat piece of cake. Pre-heat the oven based on the instructions on the back of the cake mix box. Empty the box of cake mix into a mixing bowl, add soda. Mix. Pour the mixture evenly into a 12-cupcake cupcake pan that is lined with liners and sprayed with non-stick spray. Bake the recommended amount of time on the box. While the cupcakes are baking, get out another bowl and mix together the whipped cream, orange zest and orange juice. Cover and refrigerate. When the cupcakes are done, let them cool completely if you want them to have the frosting. *The zest and juice are optional but add a really bright orange flavor. 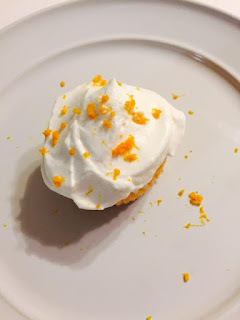 You will be able to taste the orange in the cupcakes but it will be somewhat faint so adding the extra to the frosting will really amp up the orange vibe in the cupcake. 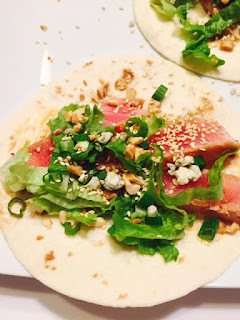 I made tuna tacos pretty recently but they are pretty and yummy so I wanted to include them in the book and repeat the recipe here. Tuna steak is a gift from the sea. If it’s not overcooked, it’s tender and moist almost like an actual steak. Also, keep a watch for it to go on sale at specialty stores. It can happen and when it does, grab them up and freeze them so you can have the decadence of tuna tacos anytime you want. I used to think the idea of a fish taco was disgusting but I’ve changed my ways. Add salt, pepper and garlic powder to both sides of tuna steak after patting it dry. Marinate it in ginger dressing, chili sauce and minced garlic. While that’s marinating, chop the lettuce, green onion and peanuts. Also, in a small bowl, mix together the mayo and sriracha. Bring a non-stick skillet to medium-high heat. Take the marinated tuna and sear on both sides for no more than 1-2 minutes per side. Basically, as soon as a very thin white layer creeps up into the pink of the tuna, it’s DONE. Overcooked tuna turns into canned tuna and that’s not what you’re going for when it comes to tacos. When it’s done, take it out of the pan and let the steak rest while you prepare the tacos. Take each tortilla, divide and smear the sriracha mayo on the bottom of both. Then, add lettuce to each one. Add Blue Cheese on each one. Sprinkle the chopped peanuts. Then, slice your tuna steak into strips and divide them evenly on each taco. Sprinkle green onion and sesame seeds onto both tacos. I put a few drops of soy sauce on each. I have a big appetite and two tacos fill me up. These tacos are hearty, salty, filling and delicious. 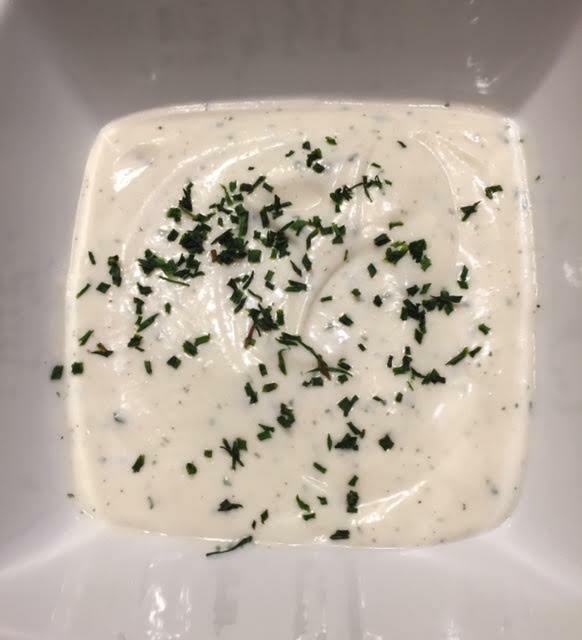 Finally, I couldn't leave out a picture/recipe of the low cal ranch that I make. *Feel free to split this recipe in half if you don’t think you’ll need that much. This make a huge batch. Plop the mayonnaise in a big bowl. Pour in the buttermilk half a cup at a time. This is an instance in which it’s important not to throw everything a bowl at once because you’ll end up with clumps of mayo. Stir the buttermilk in slowly making sure each half-cup portion gets mixed in evenly. I highly recommend using a whisk for this. Once the mayonnaise and buttermilk are combined and there aren’t a ton of mayo clumps, stir in the dressing mix, garlic powder and onion powder. Pop a lid on the bowl or container, stick it in the fridge and let it cool a bit then it’s all yours. Pro tip: Keep some low fat blue cheese on deck and mix it in to the dressing for home made “healthier” blue cheese dressing. I know it’s weird but I actually bring a small container of this dressing to most places I go for dinner. You can have 3 tablespoons of this dressing for less than 60 calories.